The World’s Greatest Cat Detective is back and he’s heading to the jungle for his latest adventure. 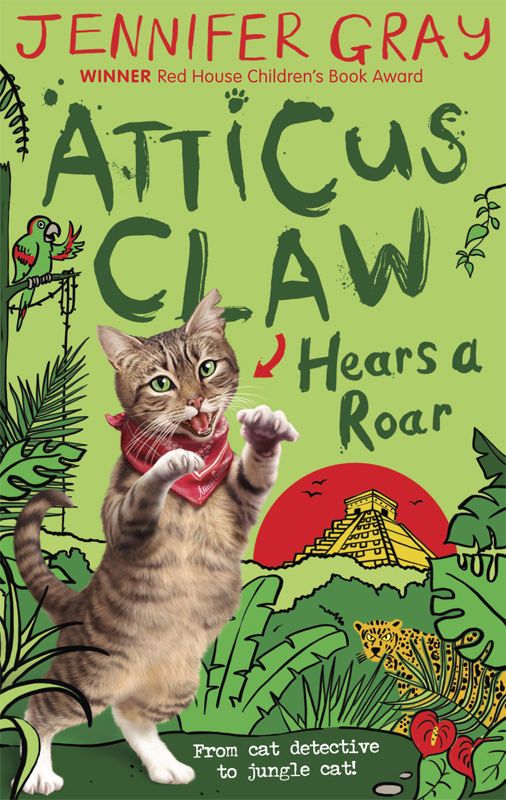 ‘Atticus Claw Hears A Roar’ written by Jennifer Gray was published last week, with a cover featuring another one of Andrew Farley’s fabulous illustrations. Andrew and the team at Faber & Faber Children’s have once again created a brilliant cover for this wonderful series. To see more of Andrew’s work, click here. Andrew Farley is represented by Kids Corner. Published on 10 February 2016.